1. 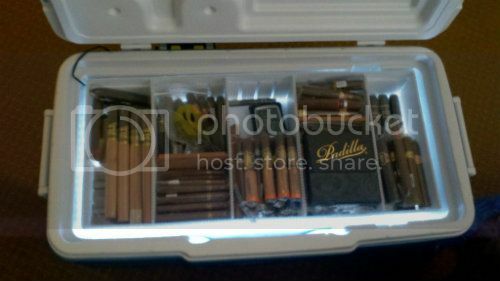 Never show a picture of an empty cooler/humidor/tupperdor! 2. Keep your address a secret, never share with people that go by the name of Mike, June, RobbyRas.... actually just share it with no one but me, ill keep it safe. 3. Keep your Bio updated, it will help to keep you "safe"
5. Dont be afraid to try new and different cigars, you never know what you will like. 6. Kuzi knows more than he will admit, listen to what he says, he is a pretty smart guy. 7. Understand that this is a widely varied group, not everyone will always agree, but try to get along with others. 10. Cigars are more of a lifestyle than a hobby, they are all consuming, learn to completely enjoy them. Notice: This post was written in a semi-serious semi-joking manner I based my picks on what ive seen on the forum in the year ive been here, and do not mean to offend anyone with this post or its contents. Dude did you line your coolidor with led rope light? If so that is awesome makes you feel like your opening the arc of the covenant every single time you go for a cigar. You might want to add "Don't try to sell anything with your first post or your soul will be ripped out of you then thrown to a pack of starved soul eating chihuahuas" to the list. 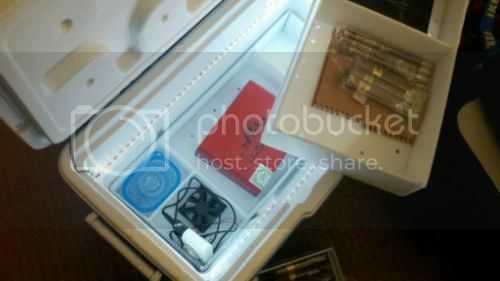 When I first started getting into this whole thing, I bought a "2-fer" of the Free Cuba bundles from the sister (before I even knew CCom existed actually). Smoked and/or shared all 50 of them. As I recall I didn't hate them. Also don't try to impress anyone by lying about what you have...somehow the truth always comes out and you'll be well not looked upon in a good way. +1 enjoy the madness! and the statement about the daily deal and sprint sale? the best what?....magicians? cuz they both make my money disappear!! Lmao I had to stop looking at them!!!! My wallet shriveled everytime I looked. and most importantly, SANTA CLAUS resides on ccom forums! Can someone get rid of this joker? you are on the NAUGHTY list! Yeah i did, and its battery powered so every time i open it is and the lid hits the momentary switch they light up even if the power is out, its very helpful at night when im trying not to wake up the roommate. I have a thread about it somewhere on here. Hah, okay. Cranky old man who cant even spell his own name. Good point, of course this is applicable in all areas of life. Fool, i work at disney, i make dreams come true!!! Nicely done Mr. taythegibs. Now ....... where do you live? And those who say they only have a few 10 packs or a 50 ct humi, don't trust them. They lie. And even worse, if they want to do a 5 for 5 trade, best make room in your humi, cause they can't count neither. And Sandy claws is just a figment of your imagination. LOL! Really tony who does that? No one. None of us would ever do anything underhanded like that. ROFL! Id add if you want to get into the bombing game f up the vets and get creative. Pacifiers, 5ft tall coffins, peppers, sharks jerseys even though they dont like the sharks. But do not impersonate a WW2 flight crew and lay waste to the forum. That just pisses people off. You forgot the most important rule: Knock off the rules, for Chrissake. Well, except for number 6 about Kuzi. I would vote for him on Dancing With the Stars.